Come join your InterNations friends for an afternoon of skating. All levels welcome (there are free guide frames for beginners to use to assist with balance). For the non skaters, come cheer on your skating friends while enjoying a drink at the café. 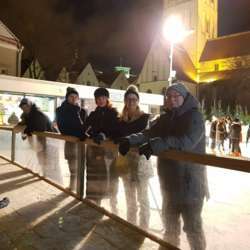 7€ for 1 hour on ice, 3€ for skate rental.